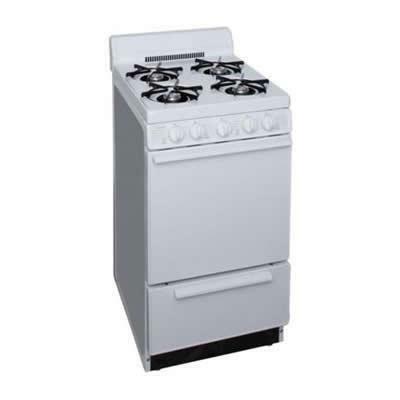 Premier 20 inches cordless gas range with 4 inches porcelain backguard. Easily converts to LP gas- no kit required. Additional Information Easily converts to LP gas - no kit required; Heavy duty grids; Anti-tip bracket attaches to floor. Warranty 1 Year. Lifetime on top burners.